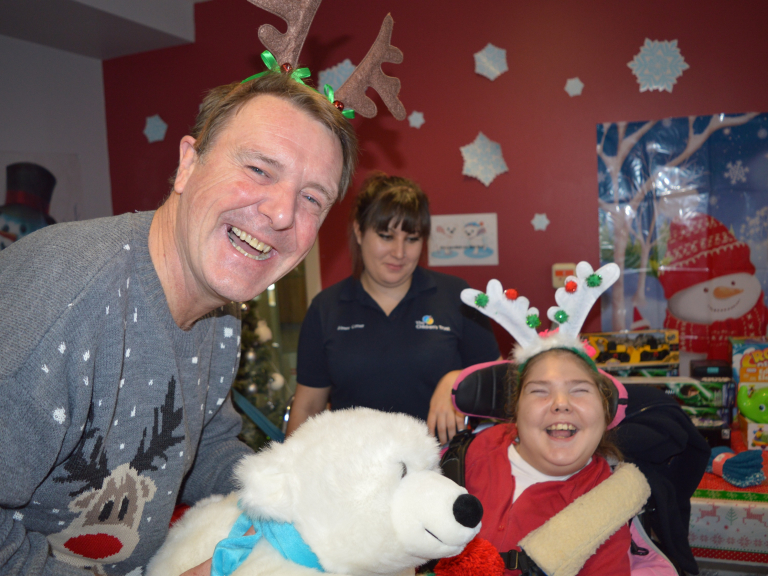 Former cricketer turned television personality Phil Tufnell visited The Children’s Trust on Christmas Day, to hand out gifts to children with a brain injury. 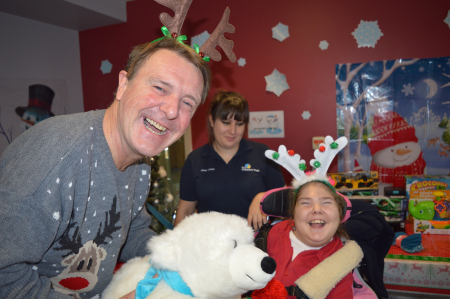 Tufnell, who is an Ambassador for the charity, spent a few hours talking to the families and playing a game of indoor table cricket with the children, some of whom have found it very difficult being away from home at this time. The Children’s Trust provides specialist brain injury rehabilitation to children and young people with acquired brain injury. There is also a school at the site in Tadworth which provides residential education for children with severe learning disabilities and complex needs.